The 79-year-old former comedian has been accused of sexually assaulting more than 40 women over the years. “At the end of the day, I truly believe you’re innocent until proven guilty, and that’s just not the man that I ever experienced…I just thought about it, how would I want to be treated if God forbid I was in that situation? It’s easy to be there for someone when things are good… I just felt like I wanted to do what I would have wanted to receive,” Keshia said on the Today show. “I’ll be disappointed [if he's found guilty], however it won’t change the love because when you have family, people falter, people make mistakes. Things happen, but in no way is that condoning sexual assault. It’s nothing that I take lightly or that I condone in any way shape or form, but he’s still a person, he’s still a husband, a parent, someone’s son,” she continued. 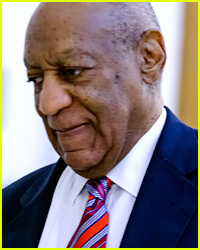 Bill Cosby is escorted into the Montgomery County Courthouse by his former The Cosby Show on-screen daughter Keshia Knight Pulliam on Monday (June 5) in Norristown, Penn. The 79-year-old former comedian is going to trial for allegations that he sexually assaulted a former Temple University employee at his home in 2004. More than 40 women have accused Cosby of sexual assault over the years. Celebrity lawyer Gloria Allred is representing the plaintiff Andrea Constand, who will take the stand this week. 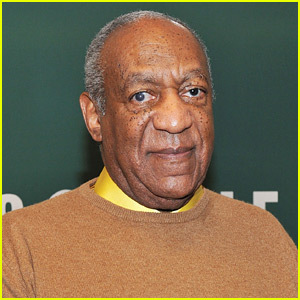 Bill Cosby just gave his first interview in over two years regarding the allegations of sexual assault against him. The 79-year-old comedian spoke out on whether he agreed with his daughter Ensa‘s statement that racism played a role in his scandal. “Could be, could be. I can’t say anything, but there are certain things that I look at, and I apply to the situation, and there are so many tentacles. So many different – nefarious is a great word. And I just truly believe that some of it may very well be that,” he told SiriusXM host Michael Smerconish. Bill was also asked about the incredible number of women accusing him of misconduct. “I think that the numbers came because the numbers prior to the numbers didn’t wor. So the piling on, so to speak, is a way – and certainly an impressive, impressive way – to get public opinion to come to the other side,” he said. Bill is set to go to to go to trial next month. 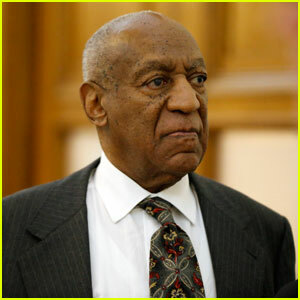 Bill Cosby is speaking out for the first time in years, but not about his pending criminal sexual assault case. The 79-year-old comedian revealed that he’s blind in a new interview with NNPA Newswire. Cosby hasn’t really talked to the press since he was charged with drugging and molesting former Temple University employee Andrea Constand. In case you missed it, his daughter recently spoke out in his defense.